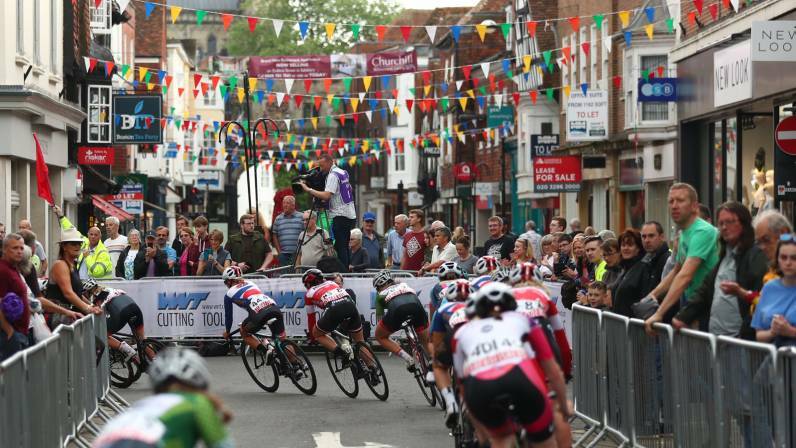 Salisbury will welcome Britain’s best teams and riders once again in May as the OVO Energy Tour Series returns to the cathedral city. Having hosted the 100th round in series history and the event’s 10-year anniversary in May 2018, Britain’s leading televised cycle series heads to the Wiltshire city on Thursday 23 May for this season’s penultimate showdown. 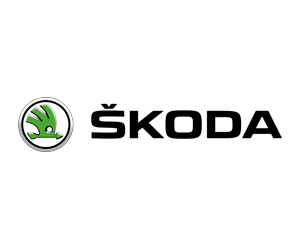 Last year’s round, watched by 12,000 spectators as well as TV viewers around the world, memorably saw three-time Olympic champion Ed Clancy take individual honours in the men’s race. The 1.2-kilometre (0.7-mile) circuit based around Guildhall Square and Market Place also holds good memories for the Canyon dhb p/b Bloor Homes and Team Breeze squads, who were crowned last year’s men’s and women’s series champions respectively in Salisbury. 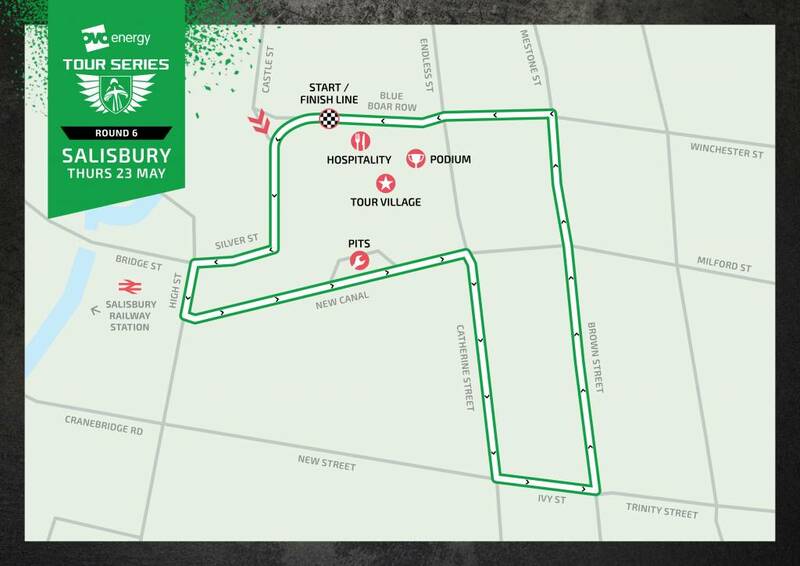 Click here to download an Salisbury circuit map (PDF). 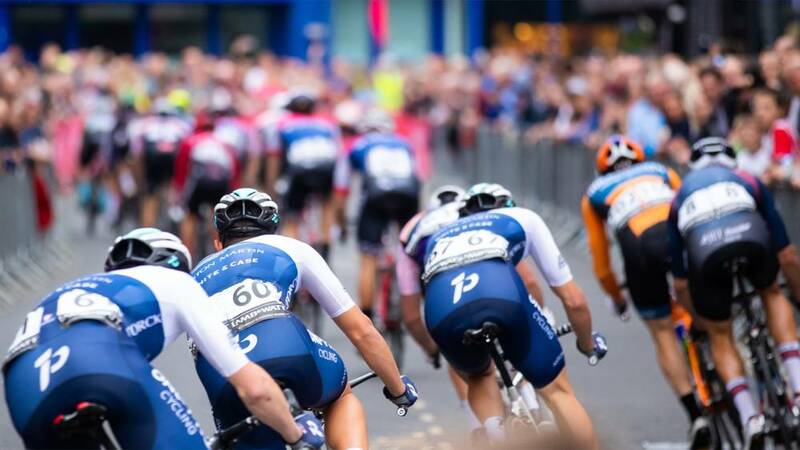 Baroness Scott of Bybrook OBE, leader of Wiltshire Council, added: “We’re delighted to once again welcome the OVO Energy Tour Series cycling to Salisbury. Among the likely contenders to Canyon dhb p/b Bloor Homes’ crown are Madison Genesis, 2015 men’s champions and last year’s runners-up, and Vitus Pro Cycling. Meanwhile Storey Racing and Brother-Tifosi look set to challenge Team Breeze in the ever-competitive women’s title race.